Cristiano Ronaldo is the living proof that one should never underestimate the heart of a champion. 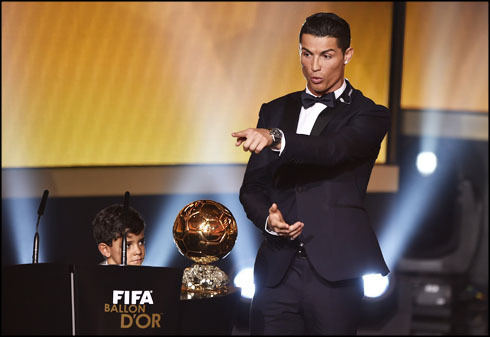 The Portuguese star stepped up a notch last year and thanks to his talent, hard-work and resilience, he got rewarded with his 3rd FIFA Ballon d'Or trophy. 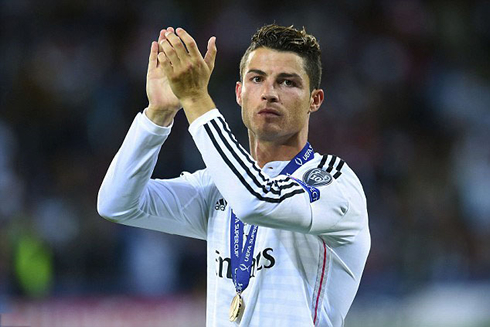 What makes Ronaldo a great footballer? The obvious answer for this question would be talent and dedication, with CR7 single-handedly defeating teams and penetrating even the best defenses. While both these qualities are unquestionable, the Portuguese striker is spending so much time in the spotlight because he knows how to use strategy in his gameplay. In addition to the technical plays that all footballers use with more or less success, Cristiano also has an approach that would even suit the high stakes poker tables. Football is a game played at a fast pace and at first glance it looks like players improvise all the time, without thinking too much about what happens next. This is only partially true, especially for a striker who spends most of the time surrounded by defenders, who are fully aware of his quality. A football match is to some extent similar to online poker tournaments, as each action has repercussions on the outcome. In Real Madrid, Ronaldo is always the main target for defenders and opposing teams are frequently assigning two players to guard him at all times. This means that he finds himself in the same situation as poker professionals who sit down at the table surrounded by opponents that fear them. The situation has a two-pronged effect, because on one hand, they can take advantage of this dominant position, but on the other, they should expect to be always a prime target for the pack. Just like a poker player, Ronaldo needs to wait for the perfect opportunity and lose the players assigned to guard him, while also defeating the goalkeeper. In order to do that, he needs to be always on the move and induce the idea that in the upcoming seconds, he will make an attempt at the goal. Those who play enough poker know that setting up a trap also requires a plethora of preliminary actions. There are many occasions, when it is mandatory to throw feeler bets and raise out of position or bet from under the gun, just to get an accurate idea about how opponents might respond. It is not always possible to wait for the best starting hand to be dealt to you and go all in because nobody will pay a penny. Conversely, it's not a good strategy to fire bets all the time, because this will cause you to bleed chips until you eventually run out, just as a football player would have his energy drained by too much running around. 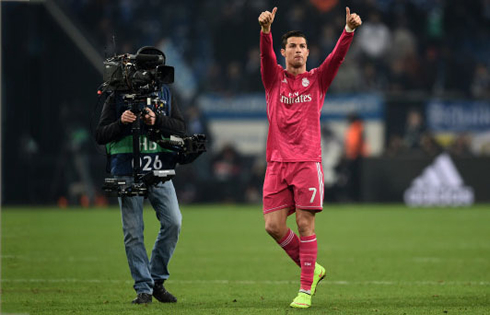 Cristiano Ronaldo has perfected his strategy over the course of time and knows how to shift between seemingly passive play to sparking attacks. Another thing that a quality striker needs to be fully aware of is that opponents will always try to prove their quality by making a play against them. This is something that poker players can surely relate to, because amateurs will always go to great lengths to win a big hand against him. There are two possible effects and the beginner fancies both of them. If he happens to win the pot, his morale will be boosted, while if he loses, he will always have a great story to tell to friends. When a player manages to have more goals scored and games played for several months, it is obvious that making the top 10 is not that relevant. Cristiano has scored hundreds for Real Madrid and his former teams, with some of them being simply mesmerizing while others less glamorous but more important. Back in the day when he played for Manchester United for example, he scored a fascinating goal against Portsmouth, leaving the goalkeeper completely unable to react. That happened in 2008 and it wasn't exactly a very important goal, but the manner in which he executed the free kick left everyone breathless. It had space, swerve and was virtually impossible to deflect by the goalkeeper, with David James simply looking at the ball as it penetrated the net. One year later, he scored the goal that was voted the best for Manchester United in almost a decade, this time after an effortless attempt that left Helton, Porto's goalkeeper at the time, absolutely speechless. Cristiano Ronaldo reached his full potential playing at Real Madrid and the two goals he scored in 2012 against Rayo Vallecano and Osasuna were both one-of-a-kind. One was the result of a collective effort involving several players, while the other was the kind of goal that Cristiano scores every now and then from a huge distance. Free kicks might look like random events that can go either way, but the fact that Ronaldo had such an astonishing percentage prior to this season simply suggest that this is more than a coincidence. Those who watch his stance prior to executing a free kick will surely realize the fact that the striker first concentrates on what he is about to do and then tries to anticipate the outcome. This is similar to what poker players do when they need to decide between calling an all-in and folding their hands. Sometimes they just look for an excuse to fold, but in most cases they analyze all possibilities and take their time to make an educated decision. Cristiano Ronaldo next game will be in the Spanish League, against Elche, on the 22nd of February of 2015. You can watch Juventus live stream, Elche vs Real Madrid, Barcelona vs Malaga, Swansea vs Manchester United, Chelsea vs Burnley, and VfB Stuttgart vs Borussia Dortmund, all matches provided from our live streaming section.